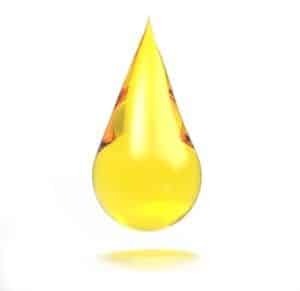 Vitamin E Oil Benefits for Skin - the bottle of liquid gold that does so much! Vitamin e oil benefits – this simple oil is sooo good for skin. It’s also one ingredient that is BETTER when applied topically to your skin. Sure, you can eat all the almonds and down all the supplements you want… but you can’t beat the benefits of applying Vitamin E Oil to your skin. But it’s not that easy to know which vitamin e oil to be using – they aren’t all the same! Vitamin E is a super important antioxidant that is found mostly in the upper layer of your skin – the layer that is blasted by the sun so the natural vitamin e in your skin is also blasted, hence the huge advantage (possibly even the need) to applying it topically via skin care! It also protects from premature aging! Because sun damage is one of the main causes of skin aging (bla bla we all know this…) this property of vitamin e oil is amazing. Your usual sunscreen is still needed, but vitamin e adds additional protection deeper within skin – the use of this oil should be mandatory! With active skin care ingredients, especially with anti oxidants like Vitamin E and Vitamin C, it’s not enough to simply use anything that calls itself “Vitamin E Oil” to your skin. Vitamin E should be in a non-esterified form (AKA in its natural, free form not mixed with alcohol or another chemical). Esterified is more stable, so its more common in skin care ingredients. But it becomes pointless when it really doesn’t do much for your skin, despite being more “stable”. Right… so how to keep non-esterified forms stable? Fairly simple – Vitamin E Oil should come in an opaque container to protect is from the light – important! There are numerous vitamin e oil products on the market. But as mentioned, most of these are actually useless (basically they are a moisturizer with the words “vitamin e” on the label). It can be hard to find vitamin e oil products that fit the above criteria, but they are out there. Here is one I have used and recommend – it is D-a-tocoperol and has a high enough concentration.